The aim of this new event, which will take place on 31 October and 1 November at the Royal Highland Centre in Edinburgh, alongside Traffex Road Expo Scotland, is to bring together the sectors of the industry in Scotland who will be responsible for the delivery, regulation and management of CAVs on the Scottish network with the world’s leading experts and thought leaders in the field alongside the technology companies/demonstrators and associated organisations with an interest in connected and autonomous vehicles. 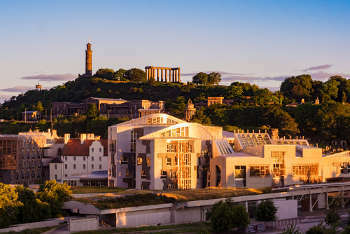 Although the regulation and policy around CAVs are not devolved, the Scottish Government wants Scotland to be at the forefront of developments in this area, offering high quality test and demonstrator opportunities to developers and industry. Scotland has huge geographic and socio-economic diversity and can offer opportunities to test and develop CAVs in a wide range of environments, including some very remote rural areas where infrastructure and communications are very different from large metropolitan areas. Cabinet secretary for transport, infrastructure and connectivity, Michael Matheson MSP, said: ‘The deployment of connected and autonomous vehicles in Scotland will bring transformative change to the way we travel and work, as well as having a positive impact on the economy, the environment and safety. Scotland is very much open for business when it comes to trialling these vehicles, with our trunk road network providing a wide range of environments as a diverse testing ground. Adrian Tatum, events producer and head of content for Transport Network, said: ‘There has been significant development with CAVs across the globe and now it is time to step back and assess all this and decide where we need to go next. It is clear there are still many unanswered questions that surround CAV development, not least how we prepare our roads ready to accept autonomous vehicles. There are also questions around insurance, legal issues and public confidence. If you are interested in taking part in the event either as a speaker, demonstrator or sponsor, please contact Adrian Tatum for further details. a.tatum@hgluk.com or 07866 422523.